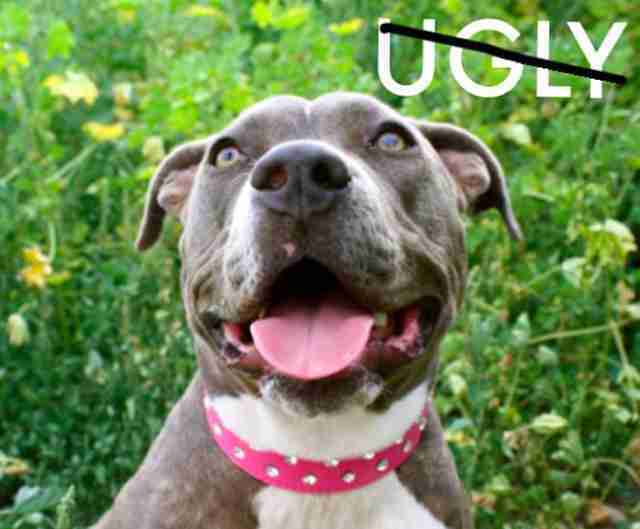 Pit bull lovers from all over the world have something important to say: stop stereotyping our dogs. 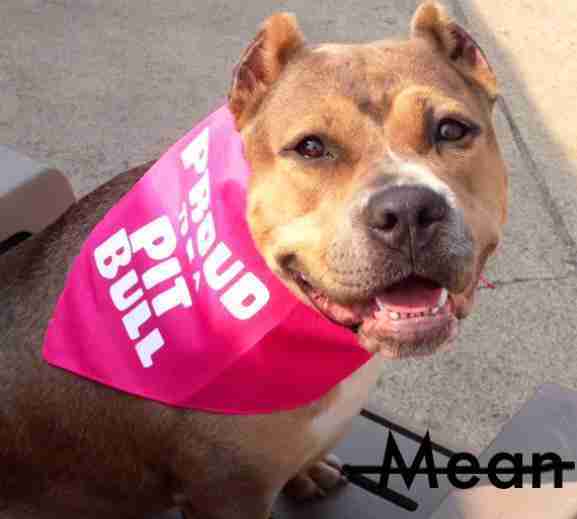 With help from pet-focused photo-sharing app Dogly, pitty lovers shared photos of their dogs along with stereotypes about pit bulls that they want to "strike-out." 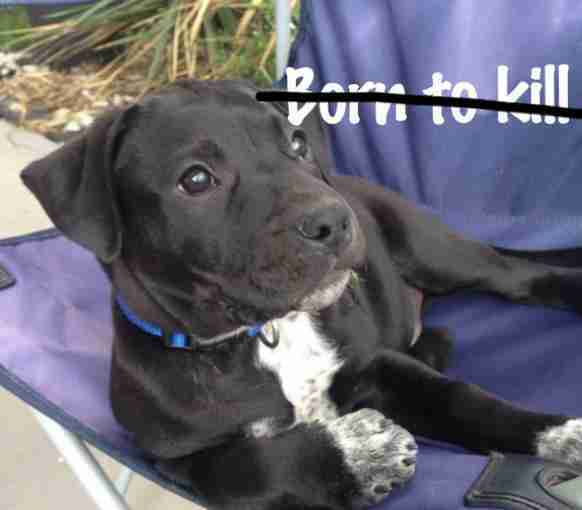 Negative stereotypes contribute to the huge numbers of healthy, friendly pit bulls being euthanized each year instead of adopted into loving homes. 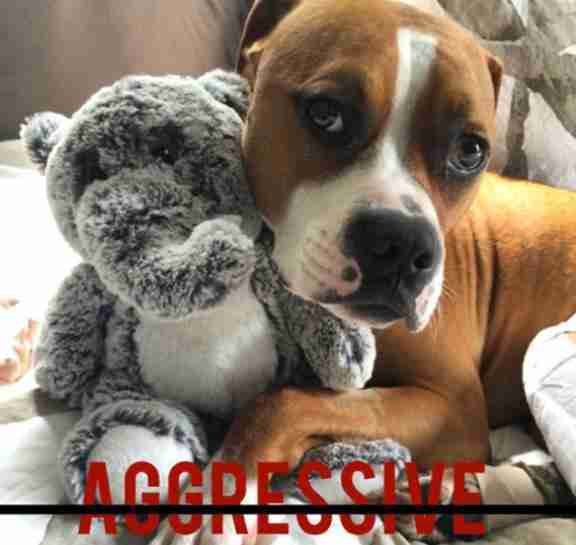 So Dogly encouraged users who love their pit bull family members to send in these photos for their "Strike Out Stereotypes" campaign. "We're lucky to get to know rescues and dog lovers around the country, and it's clear that pit bull type dogs are the most widely and negatively stereotyped dogs, and at the same time among the sweetest and most loved," Dogly founder Cory Turner told The Dodo. 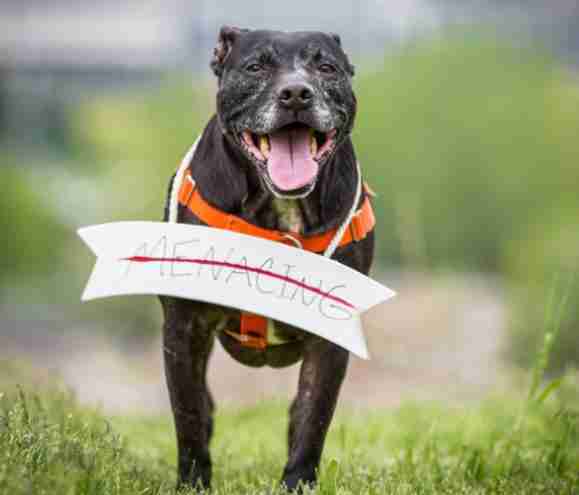 By spreading the truth about pit bulls, the hope is that more families will give these sweet dogs a chance. And once they do, they'll realize that there's no such thing as a "bad breed." Some of the pitty parents included messages with their photos. 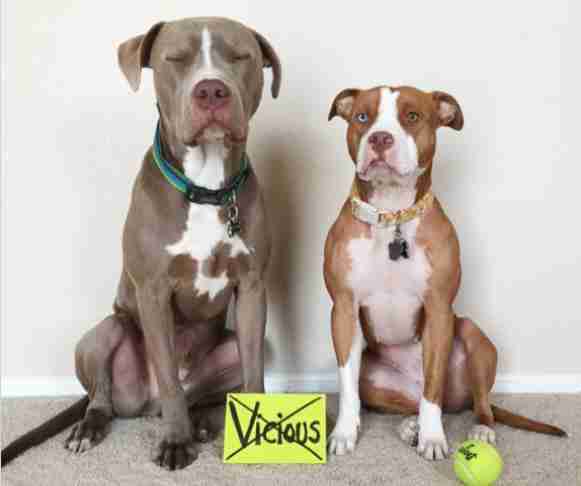 Watson and Lucy's mom wrote "We've grown quite weary of being thought of as 'vicious.' We are very much the opposite." 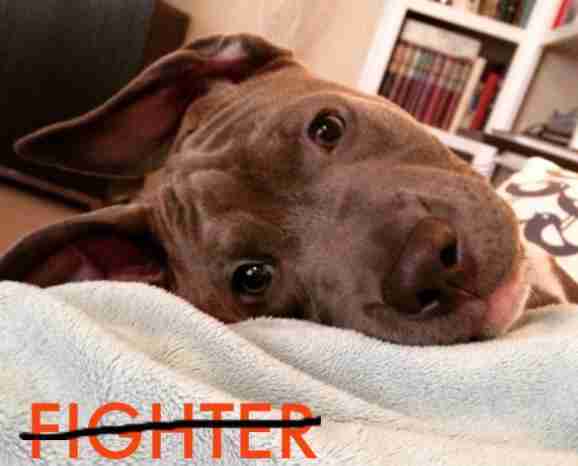 "I don't know about dog fighting, but I know about my amazing life full of walks, training, hiking, agility, play-dates, beach trips and more!" Gidget's mom wrote. 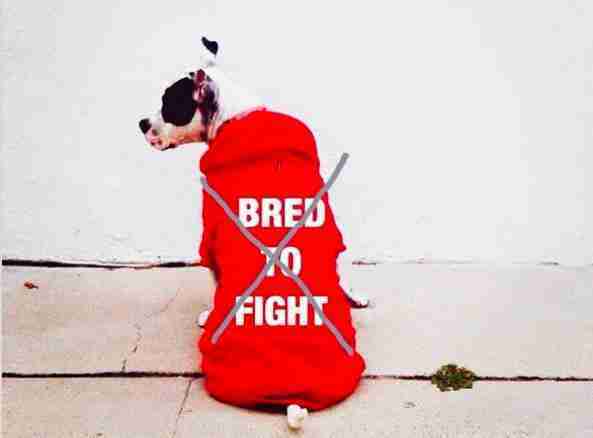 "Dogs who have been used for dog fighting are/were forced to do so by humans." There are thousands of pit bulls in shelters right now, just waiting for their chance at a loving home and a happy life. 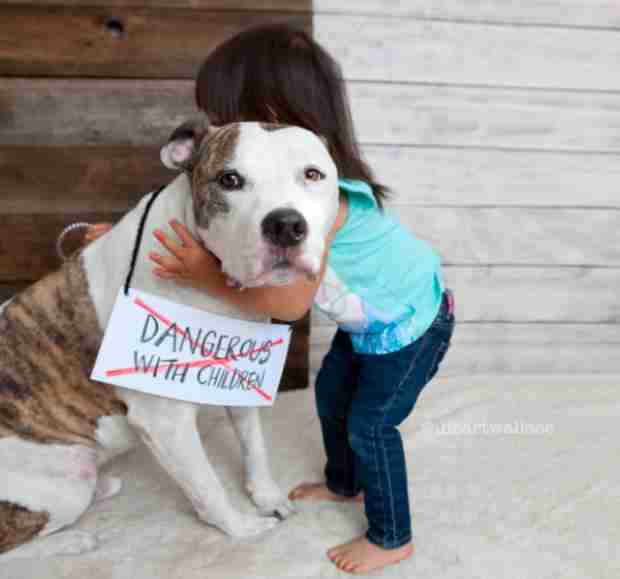 Like any animals, all that pit bulls need to thrive is a stable and caring family. And lots of love and cuddles, of course. Even just looking at photos of pit bulls, the sweet nature of these well-loved pets comes through. 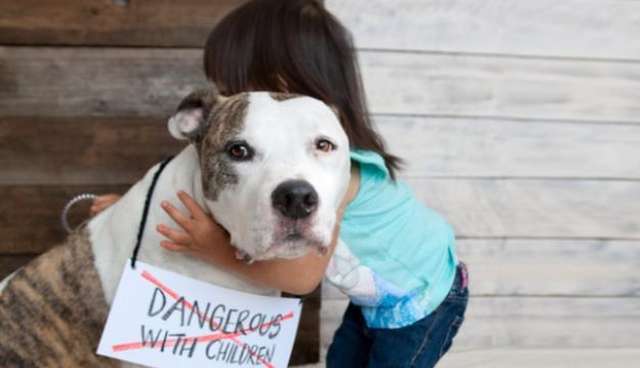 And if the "Strike Out Stereotypes" campaign moves even one family to consider making a pit bull a part of their family, then it will be a victory for dogs everywhere. 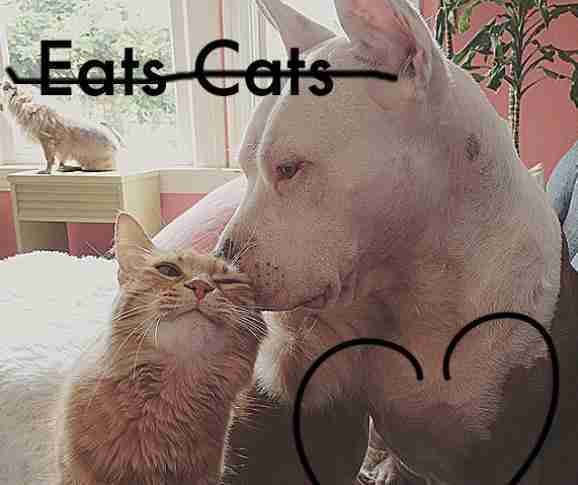 Here's to you, pit bulls. You're totally pawsome, and soon everyone will know that.